Sometime in 1943 at Camp Cooke, California, the "Sulung" soldiers of the U.S. Army's 2nd Filipino Infantry Regiment were visited by prominent Los Angeles businessmen. Their intention was to formally present "Bolo" knives to the officers and senior Non Commissioned Officers (NCO's) to the unit. The enlisted personnel had already been honing their skills with this deadly weapon preparing for jungle warfare. 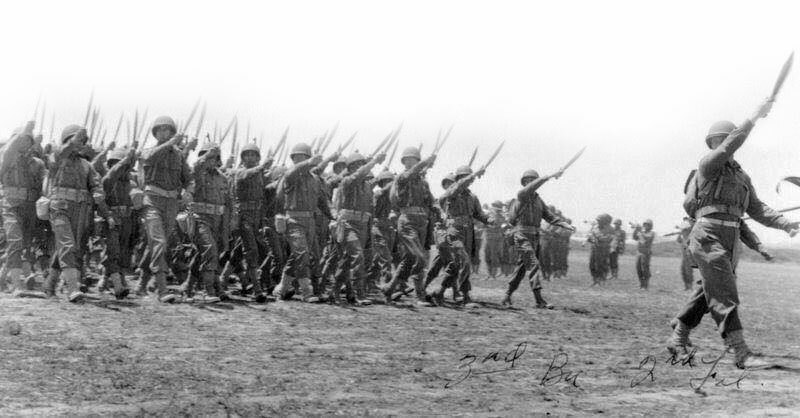 In the original photo above, the entire 2nd Regiment passed in review waving their "Bolo" knives in the air. This particular picture was of the 3rd Battalion. The use of this weapon actually began when these inductees brought their personal field machetes to the training camps. Before the war, many of them were agricultural farmhands on the West Coast. 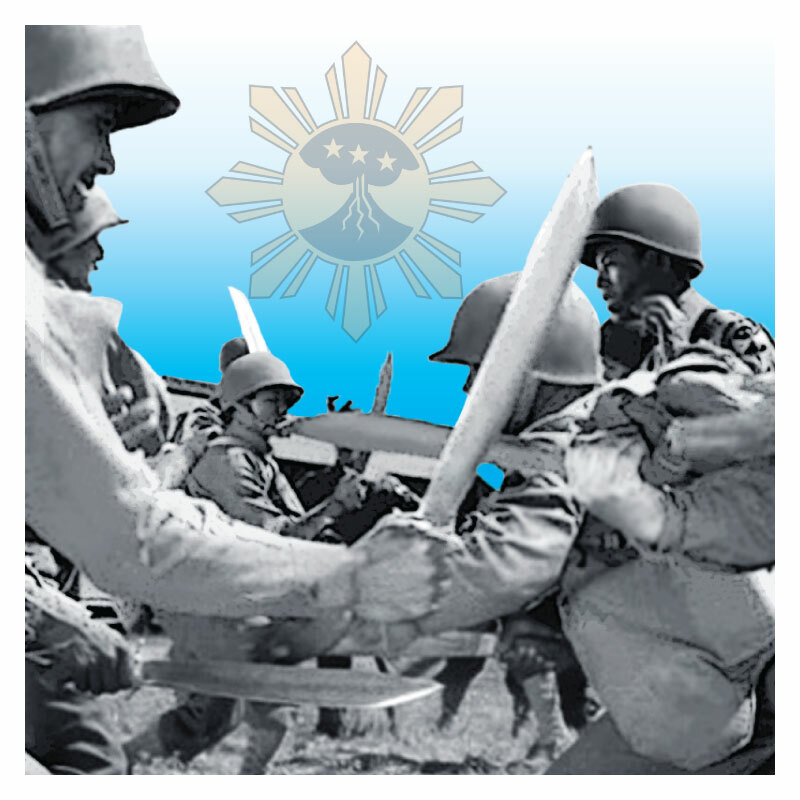 With their previous proficiency and the fact that this weapon was very much a part of Filipino martial arts history, these soldiers were able to excel using the "Bolo" knife. Colonel Robert H. Offley, the 1st Regimental commander later ordered his troops to add it to their inventory. Soon after more intensive infantry training took place and it was inevitable that combat would follow in the islands of the Southwest Pacific Area (SWPA). 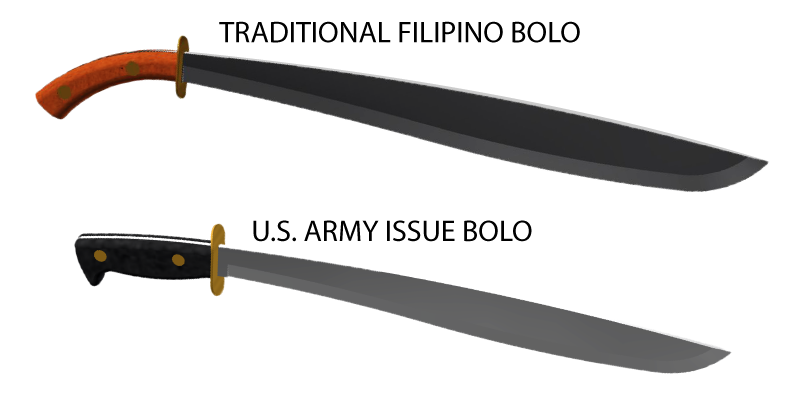 I created these CAD models of the bolo knives. From what I have researched on the bolos issued to the Filipino Regiments there were actually two versions. At first a more traditional bolo was issued which is close to the model at the top, but as the infantry regiment began to swell in numbers a machete style bolo was issued to supply the growing number of recruits. These knives were really machetes to replace the traditional bolo that were dificult to reproduce and manufacture in such large numbers.